Description: Includes topographic features. Indicates locations of forts. Indicates Native American inhabitation. Possibly removed from Gray's The National Atlas with page numbers 144 and 145. Verso: Nebraska (map) and Gray's New Map of Saint Louis with page numbers 146 and 143. Archaic county names and boundaries. Shows completed standard gauge railroad lines including Atchison, Topeka & Santa Fe Railroad; Kansas City, Lawrence & Southern Railroad; Missouri, Kansas & Texas Railroad; Missouri Pacific Railroad; Kansas Ft. Scott & Gulf Railroad; Kansas Pacific Railroad; Central Branch of Missouri Pacific Railroad; St. Joseph & Western Division of Union Pacific Railroad; McPherson Branch of Kansas Pacific Railroad and St. Louis & San Francisco Railroad. Shows completed narrow gauge railroad lines including Kansas Central Railroad. Publisher: Alvin J. Johnson & Co. Description: Includes topographic features. Indicates locations of forts. Indicates Native American inhabitation. Archaic county names and boundaries. Shows Atchison, Topeka & Santa Fe Railroad; Kansas Pacific Railroad; Kansas City, Ft. Scott & Gulf Railroad; Kansas City, Lawrence & Southern Railroad; Missouri, Kansas & Texas Railroad; Central Branch of Union Pacific Railroad; Kansas Central Railroad; Kansas City, Burlington & Santa Fe Railroad; and other unnamed lines. Corporate Author: Matthews, Northrup & Co., Engrvs. & Prs. Description: Includes topographic features. Indicates locations of forts. Indicates Native American inhabitation. Verso includes information about Kansas. Archaic county names and boundaries. Shows Atchison, Topeka & Santa Fe Railroad; Kansas Division of Union Pacific Railroad; Cowley, Sumner & Ft. Smith Railroad; Florence Eldorado & Walnut Valley Railroad; Lawrence & Southern Kansas Railroad; Kansas City, Lawrence & Southern Kansas Railroad; Kansas, Ft. Scott & Gulf Railroad; Missouri Pacific Railroad; Kansas City, Burlington & Kansas Railroad; Kansas City, Topeka & Western Railroad; Missouri, Kansas & Texas Railroad; Burlington & Missouri River Railroad; Republican Valley Railroad; Central Branch of Union Pacific Railroad; and other unnamed lines. Archaic spelling of El Dorado. Description: Includes topographic features. Indicates Native American inhabitation. Included as an inset in the newspaper Camp's Emigrants' Guide to Kansas on page 8. Verso includes information about Kansas. Archaic county names and boundaries in Kansas. Shows Kansas City, Lawrence & Southern Railroad; Atchison, Topeka & Santa Fe Railroad; Kansas City, Ft. Scott & Gulf Railroad; Kansas City, Lawrence & Southern Railroad; Kansas City, Burlington & Santa Fe Railroad; Kansas Pacific Railroad; Missouri, Kansas & Texas Railroad; St. Louis, Kansas City & Northern Railroad; Missouri Pacific Railroad; and other unnamed railroad lines. Corporate Author: Rand, McNally & Co. Description: Includes topographic features. Indicates locations of forts. Indicates Native American inhabitation. Removed from Rand, McNally & Company's Indexed Atlas of the World with page numbers 716 and 717. Verso includes Kansas population index. Archaic county names and boundaries. Shows Atchison, Topeka & Santa Fe Railroad; St. Louis & San Francisco Railroad; Kansas City, Lawrence & Southern Kansas Railroad; Missouri Pacific Railroad; Kansas City, Ft. Scott & Gulf Railroad; Union Pacific Railroad; Kansas Central Railroad; and other unnamed lines. Description: Includes topographic features. Indicates locations of forts. Indicates Native American inhabitation. Removed from unknown source with page numbers 306 and 307. Verso includes Kansas population index. Archaic county names and boundaries. Shows Atchison, Topeka & Santa Fe Railroad; Kansas City, Lawrence & Southern Railroad; St. Louis & San Francisco Railroad; Memphis, Kansas & Colorado Railroad; Missouri, Kansas & Texas Railroad; Kansas City, Ft. Scott & Gulf Railroad; Missouri Pacific Railroad; Kansas City, Burlington & Santa Fe Railroad; Union Pacific Railway Company Kansas Division; St. Joseph & Western Railroad; and other unnamed lines. Description: Includes topographic features. Indicates locations of forts. Shows locations of missions. Indicates Native American inhabitation. Removed from unknown source with page numbers 80 and 81. Verso: Kingdom of Italy (text) with page numbers 81 and 80. Archaic county names and boundaries. Shows Atchison, Topeka & Santa Fe Railroad; Kansas City, Lawrence & Southern Kansas Railroad; Eldorado Branch of Atchison, Topeka & Santa Fe Railroad; Missouri Pacific Railroad; Missouri River, Ft. Scott & Gulf Railroad; St. Louis, Ft. Scott, Wichita & Western Railroad; Kansas City, Burlington & Santa Fe Railroad; Kansas Branch of Union Pacific Railroad; Manhattan, Alma & Burlingame Railroad; St. Joseph & Denver City Railroad; and other unnamed railroad lines. Shows proposed railroads and railroads in progress. Archaic spelling of El Dorado. Description: Includes topographic features. Indicates locations of forts. Indicates Native American inhabitation. Removed from unknown source with page number 60. Verso: New Railroad and County Map of Missouri with page number 59. Archaic county names and boundaries. Shows Atchison, Topeka & Santa Fe Railroad; Kansas City, Lawrence & Southern Railroad; Missouri, Kansas & Texas Railroad; St. Louis & Santa Fe Railroad; Union Pacific Railroad; Kansas Branch of Missouri Pacific Railroad; Kansas Central Railroad; Manhattan, Alma & Burlingame Railroad; and other unnamed lines. Title: County & township map of the states of Kansas and Nebraska. Description: Hand colored. Includes topographic features. Indicates locations of forts. Indicates Native American inhabitation. Removed from unknown source with page numbers 84 and 85. Archaic county names and boundaries in Kansas. Shows Atchison, Topeka & Santa Fe Railroad; Leavenworth, Lawrence & Galveston Railroad; Missouri River, Ft. Scott & Gulf Railroad; Missouri, Kansas & Texas Railroad; Kansas Pacific Railroad; Central Branch of Union Pacific Railroad; St, Joseph & Denver City Railroad; and other unnamed lines. Shows updated railroads in Kansas. Description: Includes topographic features. Indicates locations of forts. Indicates Native American inhabitation. 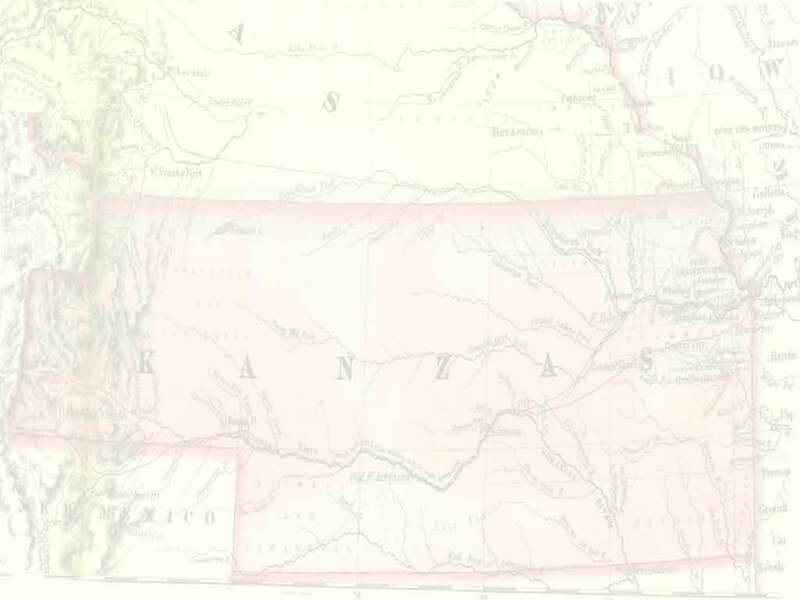 Removed from Rand, McNally & Co.'s Indexed County and Township Map of Kansas With a New and Original Compilation and Index Designating All Post Office Towns and Railroad Stations. Archaic county names and boundaries. Shows Atchison, Topeka & Santa Fe Railroad; St. Louis & San Francisco Railroad; Kansas City, Lawrence & Southern Railroad; Kansas City & Southern Kansas Railroad; Missouri Pacific Railroad; Kansas City, Ft. Scott & Gulf Railroad; Kansas City, Burlington & Santa Fe Railroad; Kansas Central Division of Union Pacific Railroad; and other unnamed lines.